Anyway, listening on the radio made me realise how long it has been since I went to see an opera live. Looking at the Covent Garden website to see if there were any more performances due, I saw the prices of the remaining tickets, which brough tears to my eyes. All of which brings me to the highlight of L’elisir d’amore, the Act III aria Una Furtiva Lagrima, one of the most famous and beautiful tenor arias in the entire repertoire. Here it is, sung by the late great Pavarotti. Enjoy! 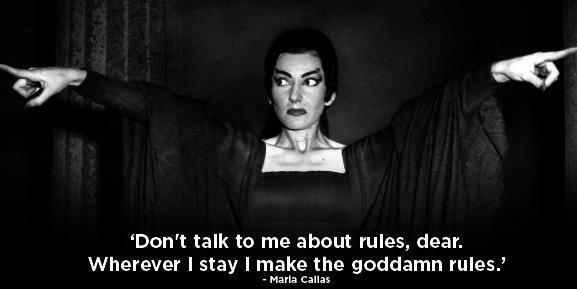 Oh, and while I am on the theme of opera I’ll just mention that Maria Callas was born on this day in 1923. Happy Birthday, La Divina!